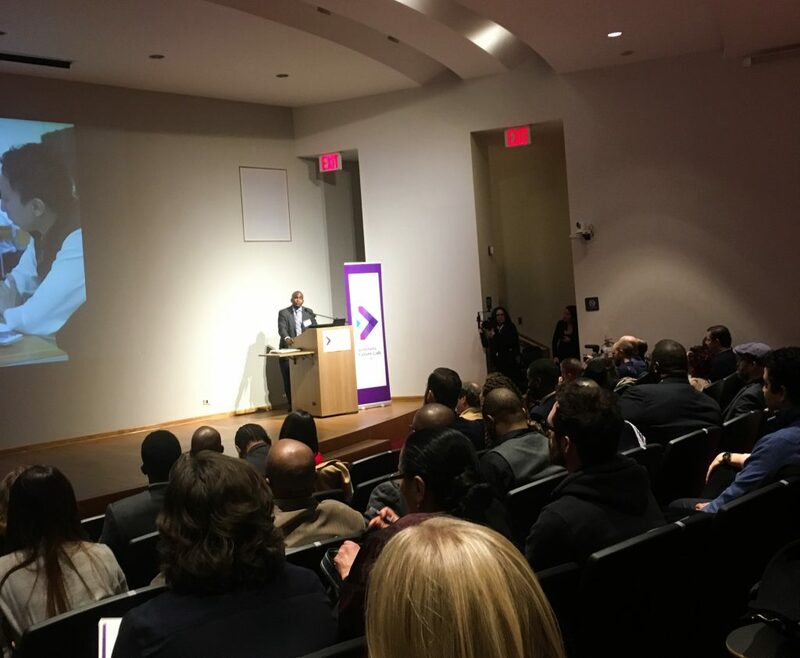 The NYU Tandon Veterans Future Lab, sponsored by Barclays, is New York’s first business incubator for military veterans. 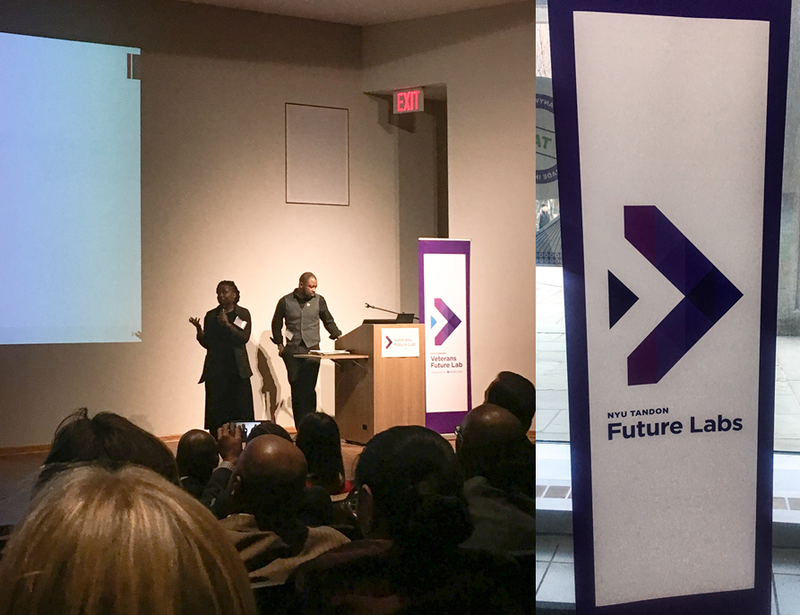 Located in Industry City in Brooklyn’s Sunset Park, the Veterans Future Lab is part of the NYU Tandon School of Engineering and is a network of innovation spaces and programs supporting early stage startups through personalized and curated support services, mentorship and resources. 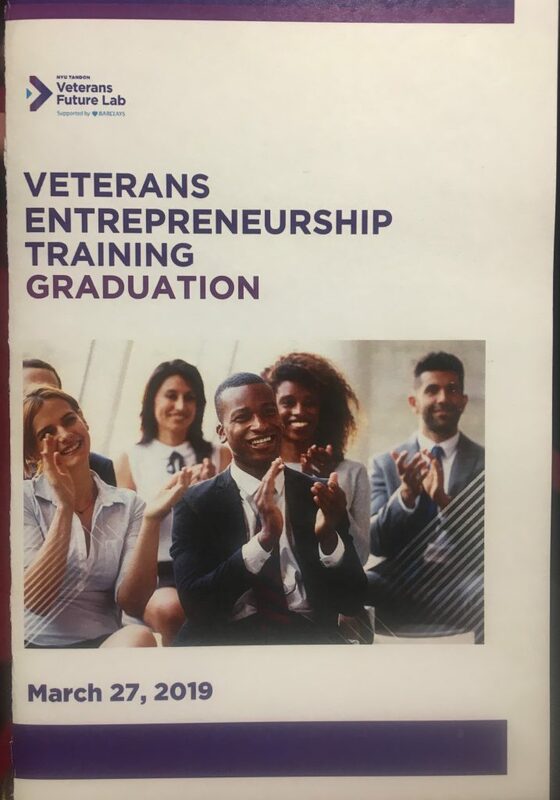 On Wednesday, March 27th, 41 veterans and military spouses graduated the 12-week Veterans Entrepreneurship Training (VET) program, which is a cost-free training program featuring a capstone project, hands-on experiential learning and mentorship. Lindsey Dixon, an Air Force veteran and founder of the PD Fund (www.pdfund.org), gave the graduate address and noted that most, if not all, of the companies or non-profits founded by students of the program had some aspect of service, which enabled them to continue to give back to their communities. Three companies were pitched by student graduates, which consisted of a local coffee shop to be located in East New York, a healthcare school for para-professionals and Black 6 Coffee Trading Co., which serves as a for-profit coffee company to fund the Black 6 Project, a non-profit organization providing disaster relief. We would like to congratulate all of the graduates on this significant accomplishment and wish you the best of luck on your entrepreneurial endeavors! The Veterans Future Lab also runs the Apex program, which is a 1-year no-cost incubator for companies founded by military personnel, veterans and their spouses. The application deadline for the next Apex program is fast approaching on April 7, 2019. For more information on the VET or Apex programs, visit futurelabs.nyc/programs. For more information on Black 6 Coffee Trading Co., visit black6coffee.org.